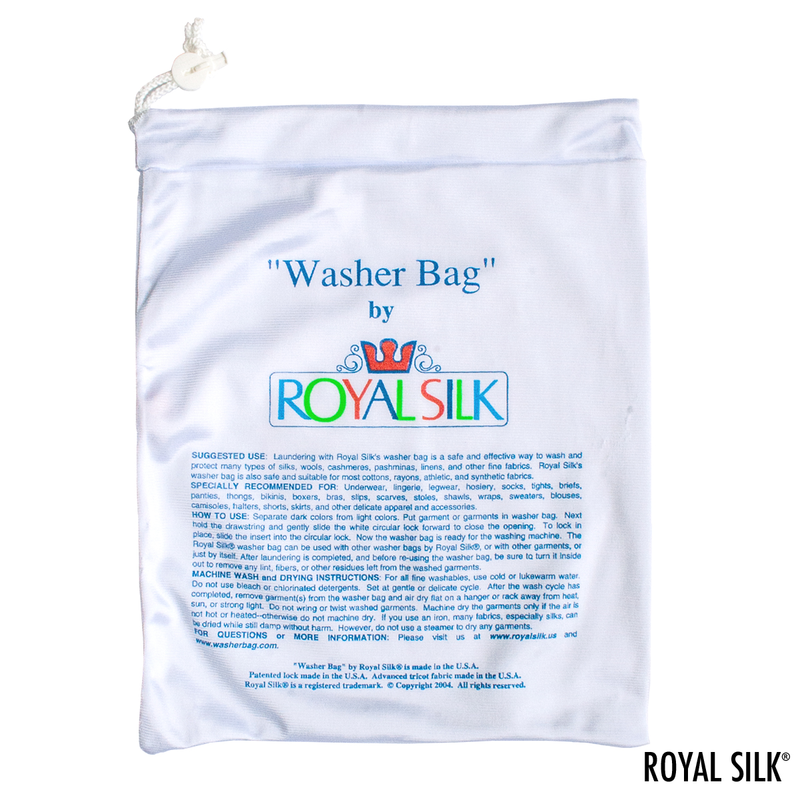 Laundering with our washer bag is a safe and effective way to machine wash and protect many types of silks, pashminas, wools, cashmeres, linens, and other fine fabrics. 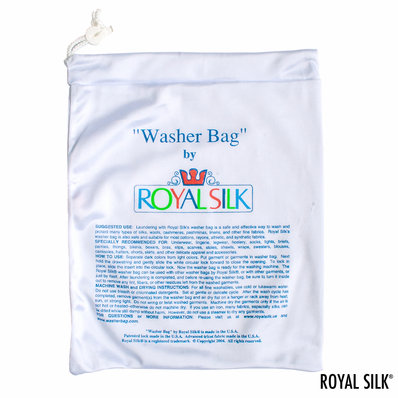 Recommended for: boxers, lingerie, legwear, scarves, sweaters, blouses, and other delicate apparel and accessories. 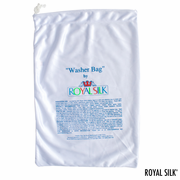 Washer Bag by Royal Silk is made in the U.S.A. using advanced tricot fabric and a patented lock. Size 12" x 15". $7.50 each.